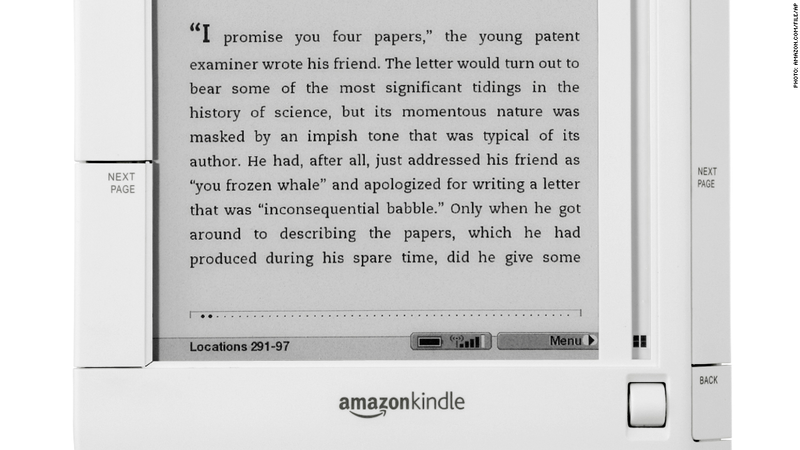 The Amazon (AMZN) Kindle wasn't the first e-reader, but it was the first successful one. When it launched in 2007, its biggest competitors, like the Barnes & Noble (BKS) Nook, were still years away. Since then, the Kindle has gone through several redesigns and editions, including the jumbo-screen Kindle DX, the touchscreen version and the backlit Paperwhite. Today, a Wi-Fi-enabled Kindle is nearly half its original weight, holds up to 1,400 books, and will set you back a mere $69 -- less than a fifth its original price. By the end of 2010, Amazon announced that its e-book sales surpassed its hardcover book sales for the first time since the Kindle's release. It outpaced paperback sales not long after.